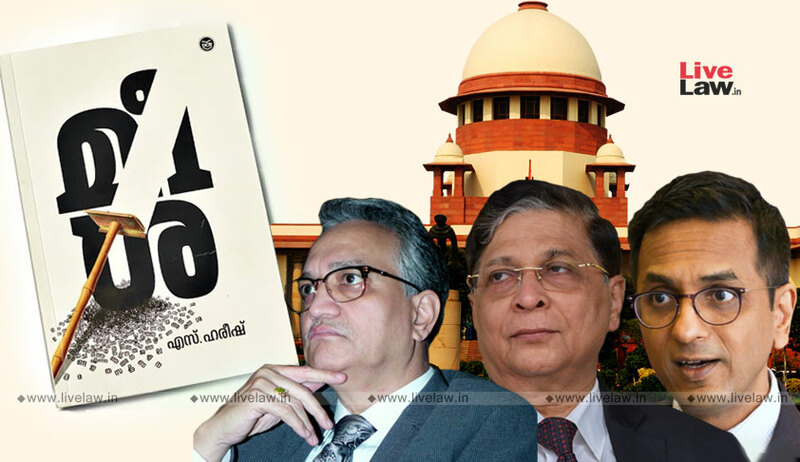 The bench of Chief Justice Dipak Misra, Justice D. Y. Chandrachud and Justice A. M. Khanwilkar was hearing a petition alleging that the novel 'Meesha', which was being published in a serialised form in the Malayalam weekly “Mathrubhumi” before it was discontinued following the controversy, described temple going women in an obscene manner, causing insult to Hindu women. It also claimed that the comments of the author about Brahmins who perform puja in the temple amount to casteist/racial slur. Gopal Sankaranarayanan, counsel for the petitioner N. Radhakrishnan, had contended that the novel by S.Harish was offensive to Hindu priests, apart from being insulting to temple going, women. He had quoted the controversial portions of the novel. Both the central and state governments had opposed the petition. ASG Pinky Anand had submitted that banning the book will amount to a suppression of Article 19(1)(a). Chief Justice Misra had observed that the controversial part was just a dialogue between two characters. Playing down the issue, Justice Chandrachud had remarked that undue importance was being given to the matter. “In this age of the internet, you are making this an issue?”, he had commented. The Court had directed the published, Mathrubhumi, to produce a translated copy of the controversial chapter of the novel within five days, and reserved orders on the petition. The petitioner has averred that if governments fail to take appropriate action in such situations, it would indirectly invite the public to react and “it wouldn’t be far off to see a ‘Charlie Hebdo’ kind of backlash in India”. Hence the petition urges the Court to lay down guidelines to regulate those who control/manage/publish media platforms including but not limited to print, electronic, social media from publishing or propagating such insensitive, incriminating or defamatory articles which would disrupt the peaceful co-existence of various communities and religions in the country. The observations of the Supreme Court in Subramanian Swamy v. Union of India that “right to free speech cannot mean that a citizen can defame the other. Protection of reputation is a fundamental right. It is also a human right. Cumulatively it serves the social interest” are relied on by the petitioner.